Effective Tests We Should All be Conducting – But Probably Aren’t! 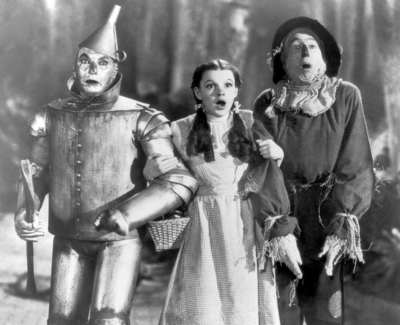 Wizard of Oz analogy aside, testing aspects like buttons, copy and the layout of your website and/or email is wicked important, but since we’re not in Kansas anymore (disclaimer: Some of you may be in Kansas), there are numerous other tests you may never have thought of that could drastically improve conversion, click-throughs, revenue and lead generation. To view the following examples/screenshots and more, visit WhichTestWon.com. In-depth details may reqiure registration. According to presenters at the Advanced Testing Workshop, 95.6 million Americans check email on their mobile phones, and 61% of customers who visit mobile unfriendly sites are more likely to go to a competitor’s site. Having a mobile site is undoubtedly vital, but test it and you could be a winner, just like Vegas.com. Vegas.com conducted a mobile site test in which they overly simplified one version, and left all aspects of their regular site intact. Sure enough, the simplified site (easy for finger tapping too) resulted in a 16% lift in page views, a 14% lift in hotel searches, and a 22% reduction in bounce rate. Try testing your own mobile site by simplifying or intensifying the amount of information you include, see what works best for your audience. Give the option to remain on the mobile version or switch over to desktop. You may think that no one reads the fine print, but Hallmark, the greeting card leader, quickly discovered that tiny print packs a fine revenue generating punch. Hallmark tested the wording of their fine print using the terms “About shipping & mailing” vs. “Delivery details & shipping costs.” After a conclusive test, they found out that “Delivery details & shipping costs” increased their click-through rate by 14% and their revenue per visitor by 18%. Fine print for the win! Try switching up your own fine print, whether it’s the wording, length, placement, link, or existence at all (unless it’s required). A search box, is a search box, is a search box, right? Though you may think that a search box is a universal given, making slight changes to it could do wonders. Dell, the computer corporation, tested theirs by displaying a plain box with a “search” button on the side vs. including the word “search” within the box alongside a magnifying glass. Sure enough, the plain box with a “search” button increased revenue per visitor by 6.3%. Who knew? Change up your own search box by including or excluding a button or magnifying glass. Change the placement of the search box, or try pre-determined search options vs. manual typing. You know how certain sites may gray out the page aside from one particular pop-up they want you to focus on? That’s an overlay. iRobot, a company that sells “home cleaning robots” (as if their products didn’t already sell themselves!) conducted an overlay test. Here, they left one page alone; on the other they created an overlay with a popup including information about their upgrade program (with discounted robots!). Sure enough, the overlay created an 18% lift in average order value and a 17% lift in revenue per session. Try playing with the use of an overlay – Test your page with or without it, the size of it, the gradient, and the timing of when it pops up or disappears. See if it reduces friction and directs customers to your main call-to-action, or if it just annoys them. This equates to just a handful of the seemingly unobvious, but super important tests that we should all consider conducting. Continue testing your buttons, copy, and layout, but remember that there are other testing aspects which could deliver you down that yellow brick road to gold. #DIGITAL: Effective Tests We Should All be Conducting – But Probably Aren’t!